Anyone who has spent more than five minutes near me knows I love cats. 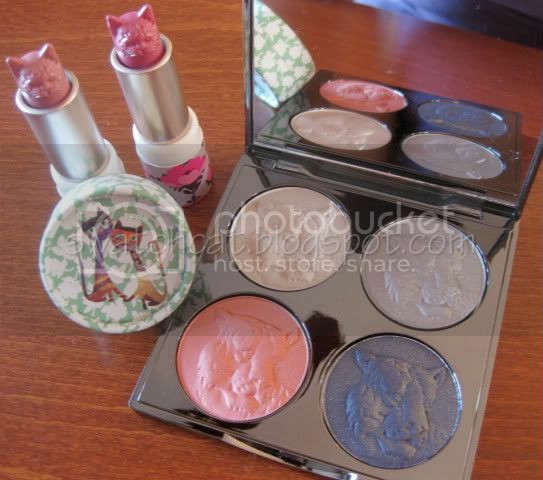 So, you can't at all be surprised that I have cosmetics that are kitty-themed. I'm not just talking named after cats, I'm talking visible felines. Fortunately, there are cosmetic purveyors who feel the same way about furry felines as I do. Am I crazy? Maybe a bit, but it's not like I have these enshrined somewhere for viewing purposes only. These are products that I will use...eventually. Paul & Joe creator Sophie Albou shares my affinity for kitties, and she infuses kitty designs into the line's cosmetics. 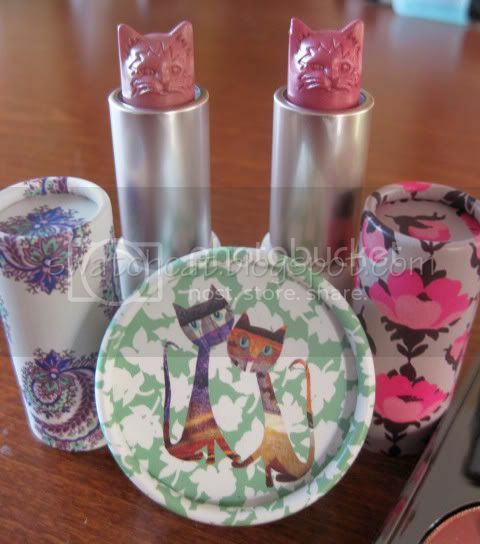 The Spring collection brought us this eye shadow with cute kitty packaging, and this Fall, she upped the ante with kitty-shaped lipsticks! Chantecaille created a palette to raise awareness for tiger poaching. The company is donating five percent of all proceeds from the sale of the palette to TRAFFIC, which monitors the trade of wildlife. A palette with cute tigers etched in the shadows plus it's for a good cause? Count me in! Paul & Joe is available at Beautyhabit and Urban Outfitters, and Chantecaille is available through most major luxury department stores (I purchased mine through Neiman Marcus) or on its website. 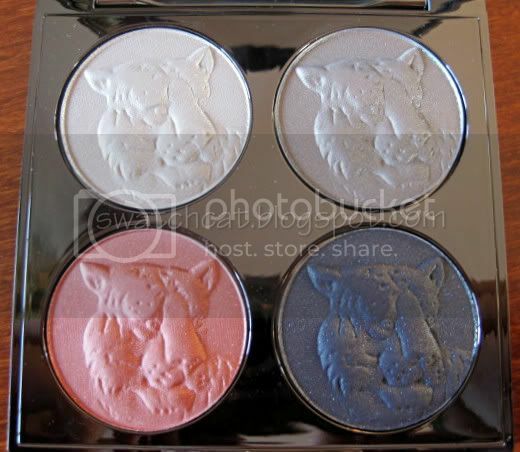 I didn't even know they made cat-themed makeup. haha-too cute!